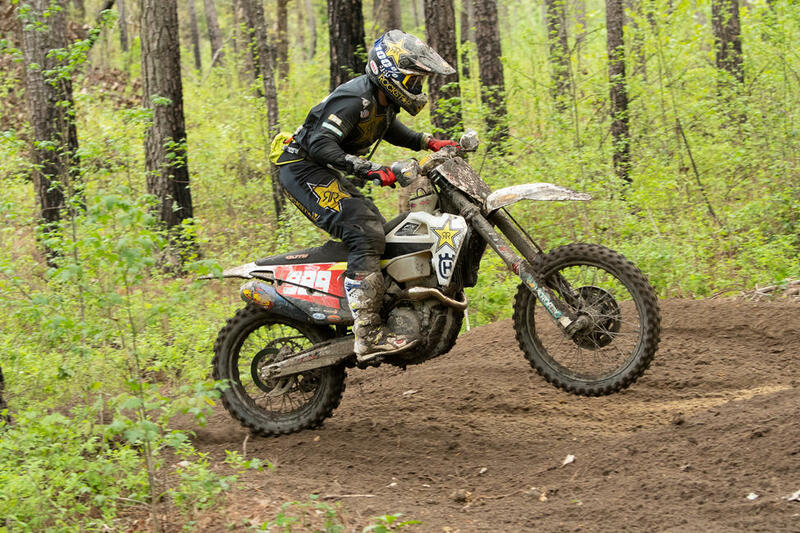 Coming off a big victory at the last round, Rockstar Energy Factory Racing Team’s Thad DuVall once again battled down to the wire as he finished only one second away from the overall victory on Sunday for Round 4 of the 2019 AMA Grand National Cross Country (GNCC) Series. Held in Society Hill, South Carolina, racing kicked off on Sunday afternoon with some unexpected rain, forcing riders to make slight adjustments in terms of goggle change-outs early on. As a result, DuVall got shuffled back early on the opening lap but he was able to quickly power his FX 350 into podium contention by lap three and that’s when he began his battle with Kailub Russell for the lead. DuVall swapped the lead back-and-forth with Russell heading into the final lap and the duo continued to battle wheel-to-wheel all the way through the checkers. After three hours of racing, DuVall finished only one-second away from the win. Rockstar Energy Factory Racing Team’s Trevor Bollinger got off to a great start aboard his FX 450 where he rounded the opening lap in third. He battled in fourth for the remainder of the race and finished just off the podium in fourth. 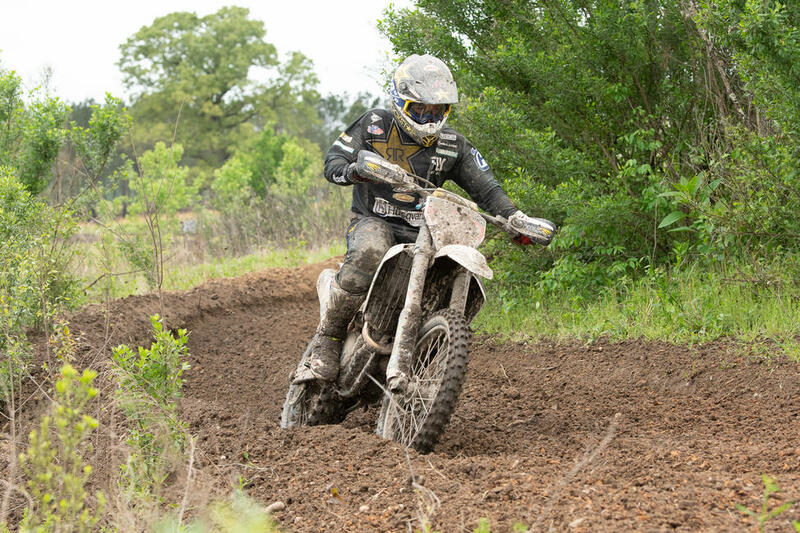 Husqvarna Motorcycles-supported, Rockstar Energy athlete, Tayla Jones, claimed her second-straight victory on Sunday in the WXC class, where she holds the championship points lead after four rounds.